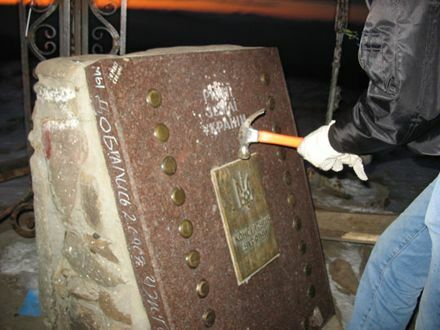 Eurasian Youth Union takes upon it the responsibility for destruction of state symbols of Ukraine in Goverla mountain. The correspondent statement is posted at the website of Eurasian Youth Union. 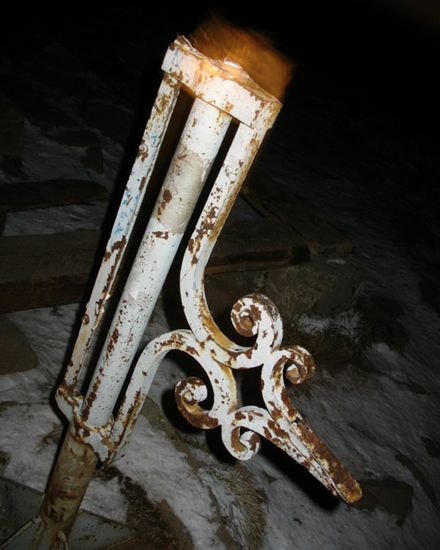 “Tryzyb – occupation symbol of Ukraine is filed down and outraged. 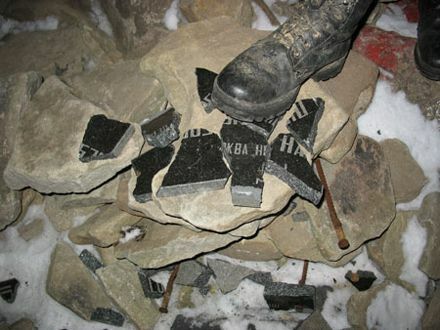 Granite desk of Ukrainian sectarian church is destroyed. 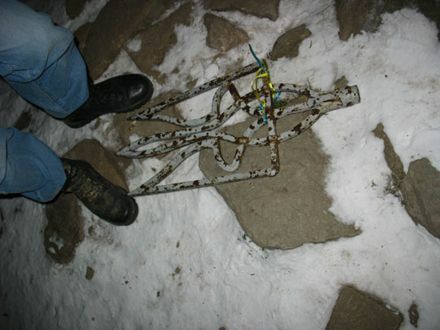 Granite memorial sign, dedicated to “Constitution of Ukraine”, is broken. Instead of Ukrainian yellow –blue flag the flag of the Eurasian Youth Union is hoisted over the mountain. Goverla Mountain is renamed for Stalin’s peak”, is said in report. 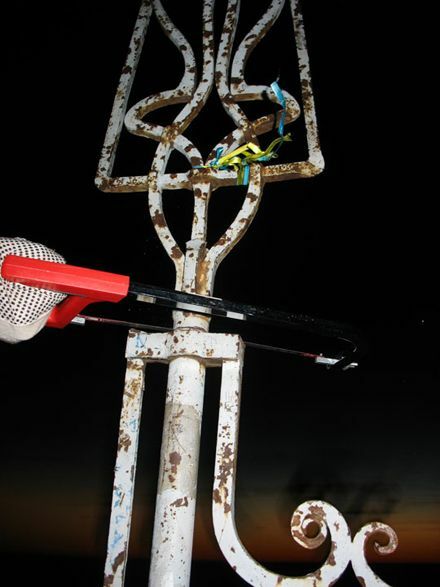 The photographs and video, where vandals outraged the state symbols of Ukraine, are posted at the website.